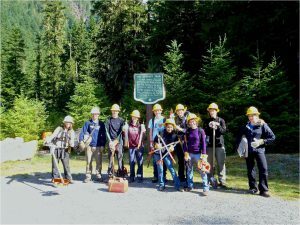 Friends of Manning Park volunteers contacted Ed Atkinson, West Okanagan Area Supervisor for BC Parks last year to propose a plan to clear the Dewdney Trail. 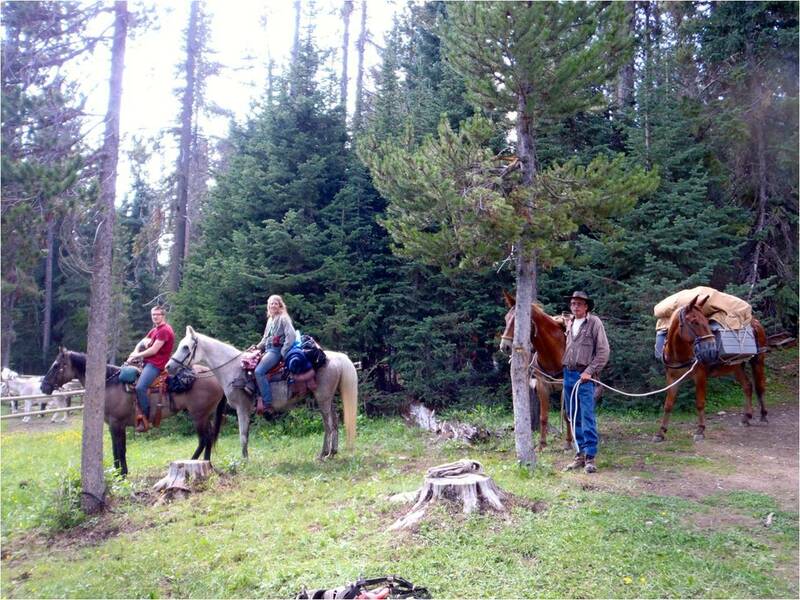 The trail is of great historical significant to British Columbia and was a popular equestrian and hiking trail. 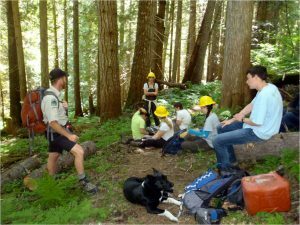 With its location within the Skagit watershed, Ed suggested applying for the Student Conservation Association International Crew to be a partner in this project. 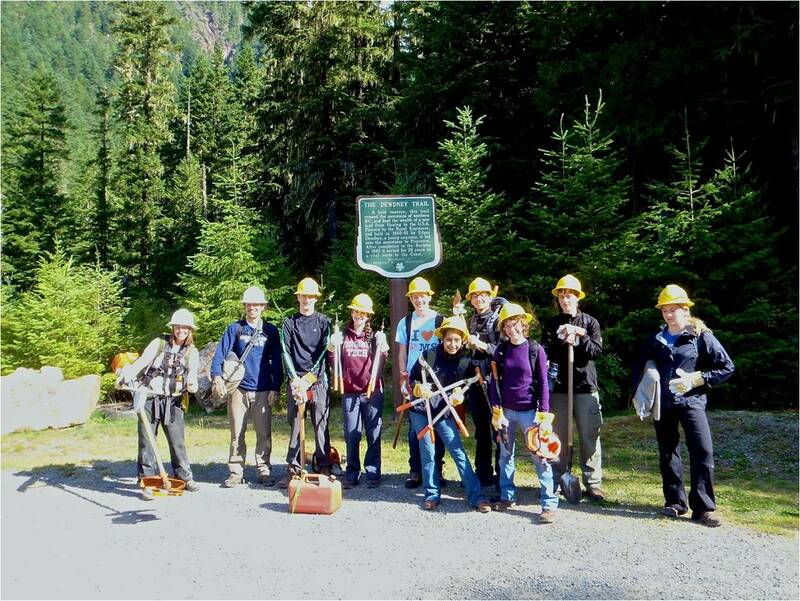 BC Parks supported the project and supplied all the equipment and supplies needed to successfully complete the project. Additional funding and support came from the Backcountry Horsemen of BC and the BC Horse Council as well as the Okanagan Similkameen Parks Society who sponsored the historical kilometer markers and the volunteer barbecue. Snass Creek flows south from its headwaters deep within Manning Provincial Park and is a major tributary of the Skagit River. This remaining section of the original Dewdney Trail closely follows Snass Creek to its origin at the Cascade Divide. The trail was built in 1860 and was the first engineered trail built in the Colony of British Columbia. This historically significant route linked all the communities across the southern portion of the colony from the coast to the Kooteneys during the gold rush. Leigh-Ann Johnson of Katim Enterprises oversaw the project under contract for BC Parks. 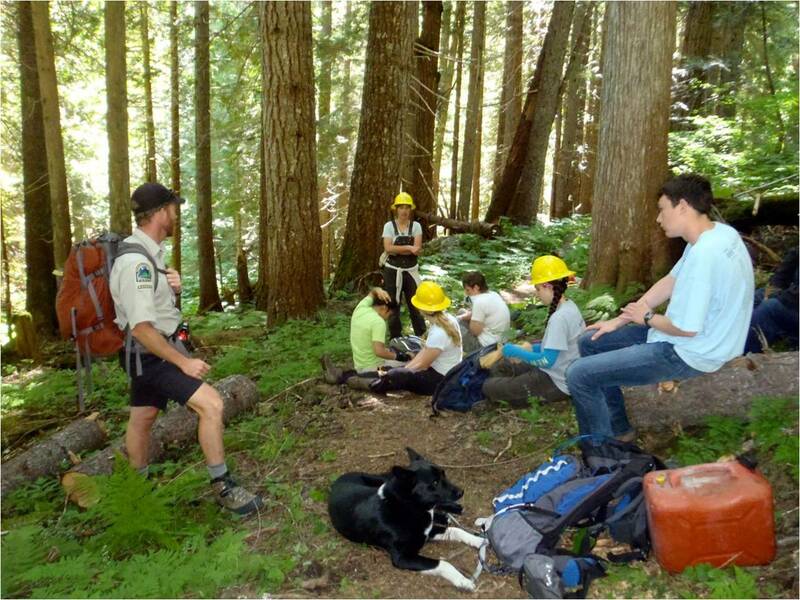 She conducted a safety prework with the crew on their arrival in Manning Park. This included safe work practices, provincial emergency procedures, a bear aware video and project objectives. Kelley Cook was the trail supervisor and was involved with crew in the field. 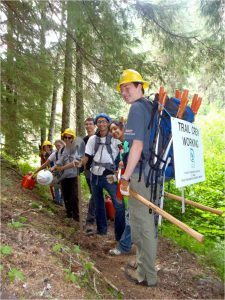 The crew bucked and cleared windfall as well as brushing over five kilometers of overgrown trail. They installed historical markers at one kilometer intervals along the trail. Paradise Cabin chores included building new steps, installing a door, chopping wood, staining, installing rodent proof wire mesh and general clean up. Bringing together all ages of volunteers was a great success. A wind up party was held for the group and other volunteers involved in the project. The Backcountry Horsemen of BC carried the food in on pack horses much like the historic pack trains that once used this route. Other riders came in from the east clearing the trail as they made their way to the gathering. The students helped prepare the food and cooked it over an open fire. Connecting with other volunteers was a great experience for the students. The bringing together of US and Canadian students to form a team has created many friendships that have no border. This SCA program is a lesson in equality and no doubt that the participants lives are enriched by this experience. The trail work accomplished by this group was incredible and the quality outstanding. They worked in Manning during the hottest weeks this summer and never complained ( except about the black flies & stinging needle). The group first came together in Manning and they were like most teenagers that found comfort moving about in a large group. The final day of their Canadian experience concluded with a hike to a pristine lake surrounded by an abundance of wild flowers in full bloom. The scene was breathtaking and the students all wandered about and found their own private space alone with the wonders of nature. They made a special connection with the natural world. To experience and appreciate the beauty of nature is the most successful way to teach conservation and protection of the environment. The SCA program provided this opportunity to the participants and has achieved its goal in promoting conservation in the next generation.